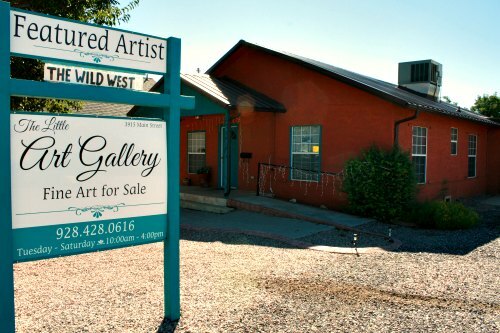 Brooke Curley Photo/Gila Valley Central: The Little Art Gallery is located in Thatcher. THATCHER- For the young artist, this may be the perfect time to show off their talent to the rest of the Gila Valley. The Little Art Gallery, located at 3915 W. Main Street, Thatcher, is looking for participants in the Annual Youth Art Show. The age groups for the show are 12-19. Applications for the Youth Art Show can be picked up at the gallery, or from the school art teachers. March 30th is the deadline for entries. 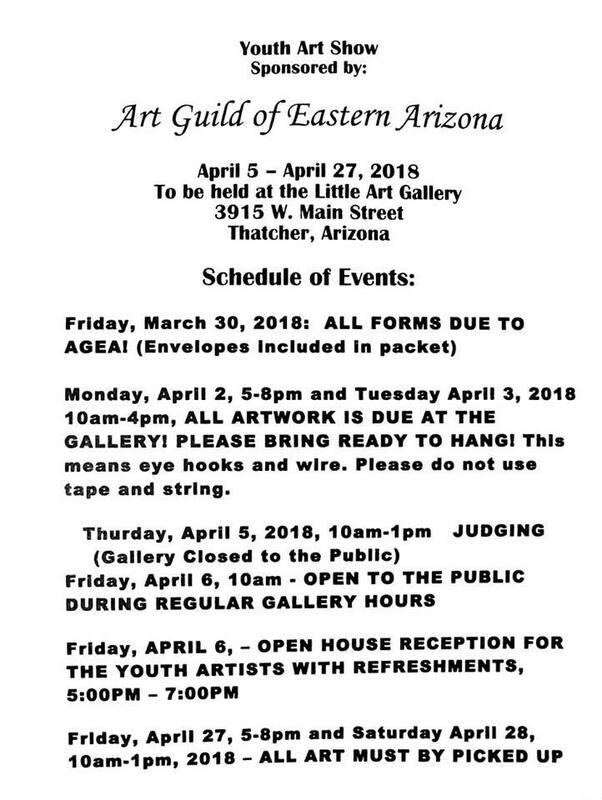 Through the grant from the Arizona Community Foundation, the gallery will award multiple cash prizes, art kits, and ribbons.After the judging of the art entries, there will be a reception for the young artists at the gallery on April 6th at 5:00 pm. Refreshments will be served, and it is all free to the public. Maggie Polen Bryce, who has been with the gallery for over a decade, told Gila Valley Central that the gallery believes in the importance of encouraging younger artists in their artistic skills. Last year, Jenny Griffin, 14, of Central, participated in the Little Art Gallery’s Youth Art Show, Griffin claimed not only the Best of Show prize but also the first and second place for her artworks.The youth art show was the first competition she has entered so far, and Griffin enjoyed it so much it has prompted her to enter her work into the Graham County Fair’s competition, even though the competition may be more intense. To view the article on last year’s Annual Youth Art Show, click here. Contributed Photo/Courtesy Deanna Cluff: Jenny Griffin stands beside her Best of Show prize-winning watercolor at the reception for the Little Art Gallery’s Youth Art Show of 2017.